The Pinellas trail currently consists of 37 miles of pathway that runs from Tarpon Springs in the north down through multiple communities until it reaches downtown St Petersburg at the southern end of the Peninsula. The trail is dedicated to Fred Marquis who was instrumental in the development of the pathway. Despite traveling through nine cities, the trail most often passes between tall trees that provide much welcome shade and solitude. You will find multiple opportunities to sightsee along the trail, the type of attraction depending on which section of the trail you choose. 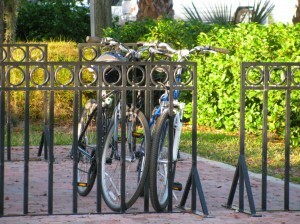 (We particularly like the connection to the bike path leading to Clearwater Beach.) The path will take you past waterways, interesting features of small communities, and the more complex sights of the larger cities of the peninsula. Taking the entire trail is a bit much for most people so just pick the area you are most interested in seeing. The trail winds through Tarpon Springs, Palm Harbor, Dunedin, Clearwater, Belleair, Largo, Seminole, Gulfport, and St Petersburg. Choose your favorite city and get started on your tour of the Pinellas Trail! 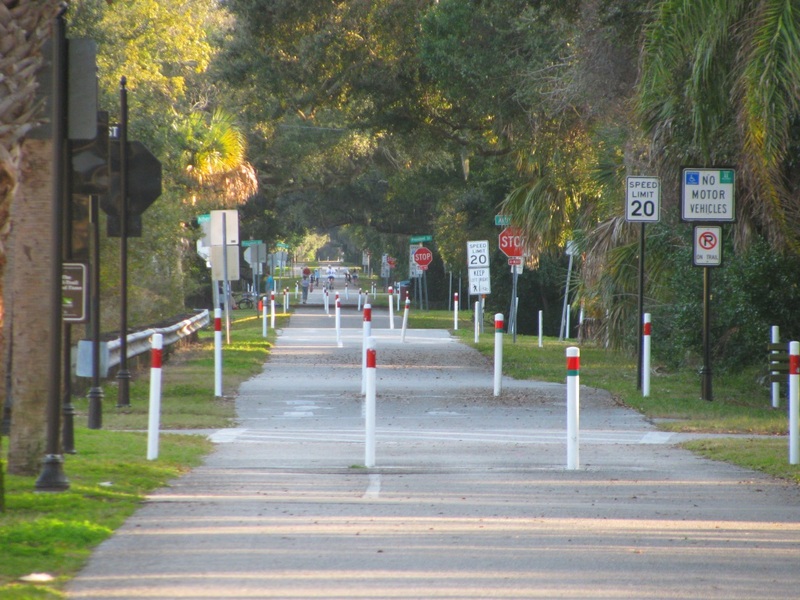 Deciding which part of the Pinellas Trail is the best for you is a matter of personal preference. Some people enjoy the long stretches of wooded pathway while others like the stopovers in popular cities like Tarpon Springs or Dunedin. At Clearwater, you can take a diversion on the bike path over the causeway to the beach. In Largo you will pass by the large grounds of Largo Central Park and, farther south, Walsingham Park, home to Florida Botanical Gardens and Heritage Village. 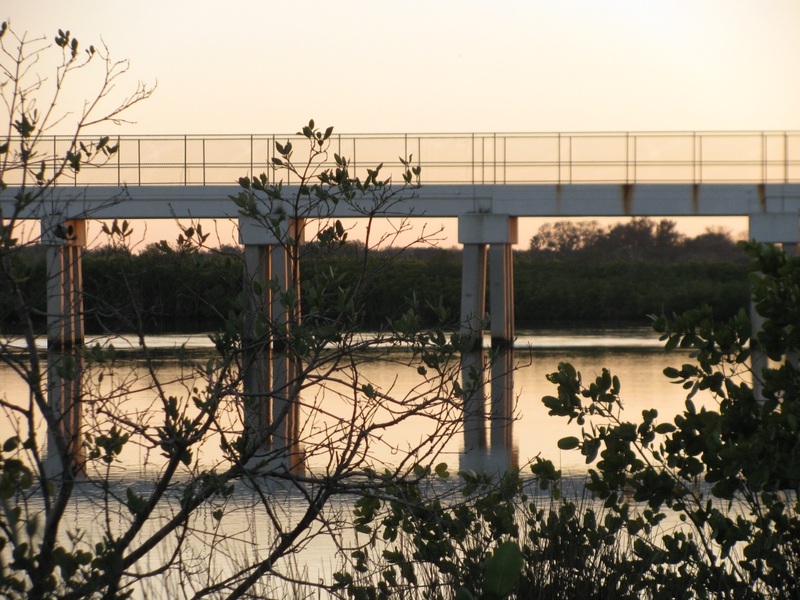 Passing from Seminole to St Petersburg, you will have an opportunity to cross the longest bridge on the trail, spanning the waters of Long Bayou, with sweeping views across the water to the north and south. 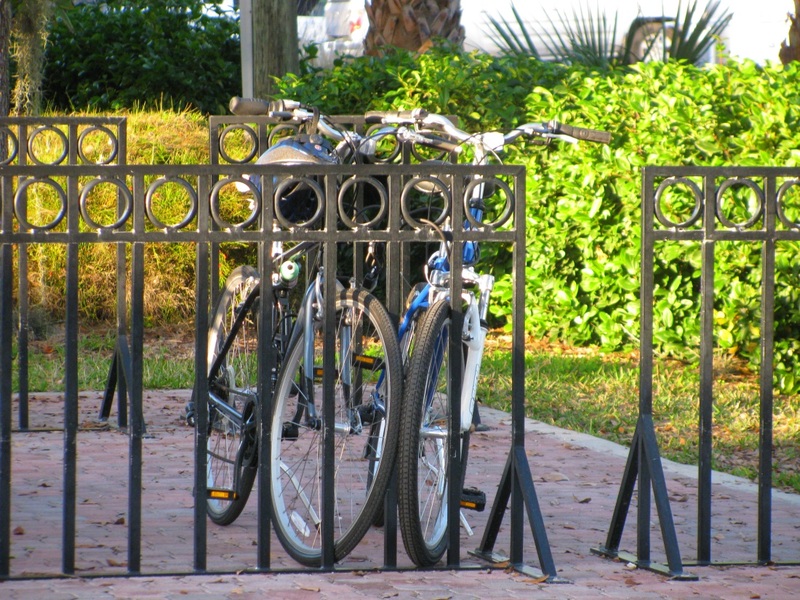 The trail begins –or ends- at the docks in St Petersburg, a great place to bike and walk along the scenic downtown waterfront. Regardless of where you use the trail, you are bound to have a relaxing and interesting experience. The memorable sights and enjoyable stretches of the Pinellas Trail are worth visiting.